October 27, 2017  Doctors and others working on the country's opioid epidemic are welcoming President Trump's declaration of a public health emergency, but they say it's not enough. October 26, 2017  The White House says it will declare a public health emergency in response to the opioid crisis, as opposed to a national emergency. Many are disappointed with a plan that does not allocate new funds. October 26, 2017  The move stops short of declaring a national emergency, which the president had pledged to do. October 19, 2017  The campus in Gainesville is on high alert. It's intended to prevent an outbreak of violence around a speech, scheduled for later Thursday by White Nationalist Richard Spencer. October 12, 2017  The U.S. House is expected to pass a $36 billion relief package including billions for Puerto Rico. Although Congress is not expected to revisit the island's $74 billion debt, analysts say the infusion of federal aid may help revive Puerto Rico's stagnant economy. September 30, 2017  Life is still very difficult on Puerto Rico, more than a week after Hurricane Maria. Power, water and food are in short supply. But people are managing to find ways to get by as they wait for help. September 28, 2017  Puerto Ricans say their island remains paralyzed because of a lack of diesel distribution owing to a lack of truck drivers. Additionally, there are concerns that there are many more Hurricane Maria-related deaths than the 16 confirmed so far. September 28, 2017  More than a week after Hurricane Maria, Puerto Rico's fuel shortage is affecting recovery efforts. Businesses and hospitals are low on diesel — leading to calls for FEMA to take over distribution. 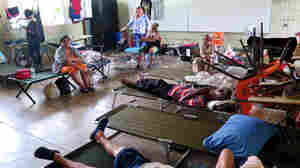 September 27, 2017  Hospital officials in San Juan, Puerto Rico say they are operating in crisis mode after Hurricane Maria. 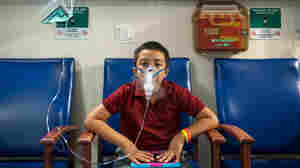 With only emergency power, doctors are struggling to provide medical care as needs grow daily. September 27, 2017  Power is still out for virtually all of Puerto Rico with little hope in most places it will be back anytime soon. And in many communities, the greatest need is clean running water. September 20, 2017  Devastation expected from the hurricane will challenge many Puerto Rico institutions, especially its beleaguered power authority, which is still struggling to restore electricity in some areas after Hurricane Irma. September 20, 2017  We have an update as Hurricane Maria makes landfall in Puerto Rico, after crashing into St. Croix overnight.